With real coffee beans don’t be surprised! Coffee is great for skin tightening and firming. It has anti-oxidants too! And what’s more, the fragrance is as enchanting as a freshly brewed cup of coffee. When soap has real coffee beans, the bath becomes an experience! No animal ingredient/ no animal testing, soft on skin, suitable for all skin types, completely handmade, eco friendly packing, free of chemicals. Keep soap dry. 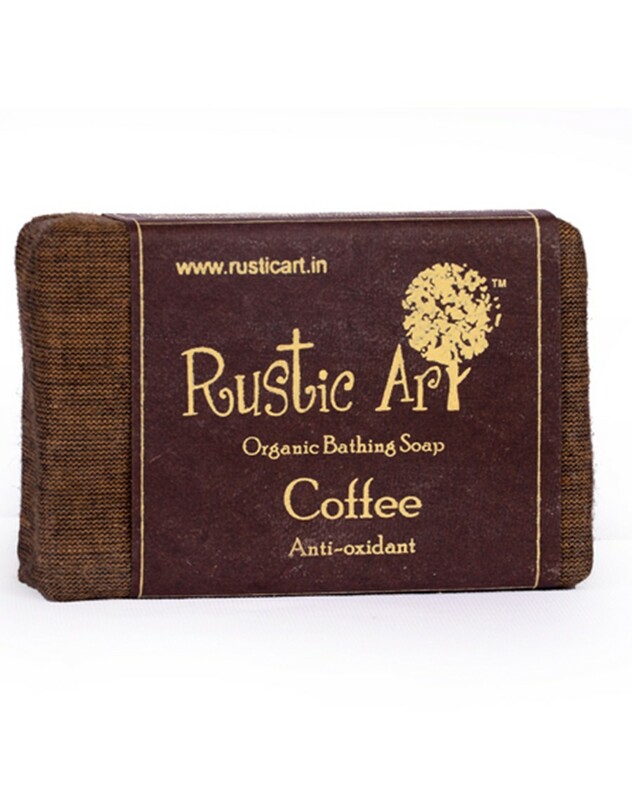 Organic corn oil, organic coconut oil, organic castor oil, organic Neem oil, organic olive oil, de-mineralised water, caustic lye, aloe gel, wheat germ oil, extract of brahmi, vanilla, coffee, essential oil of coffee, benzoic, citric acid.